For more than 20 years, there have been implementations of remote monitoring via satellite; therefore, satellite IoT cannot be described as a new technology. SCADA (Supervisory Control and Data Acquisition) was what it used to called and, later, M2M (Machine-to-Machine) became the descriptive moniker — large scale implementations have alerted China to floods, monitored pipelines in Kazakhstan or gas-valves in Mexico. All are carried out by VSAT networks and L-band providers. 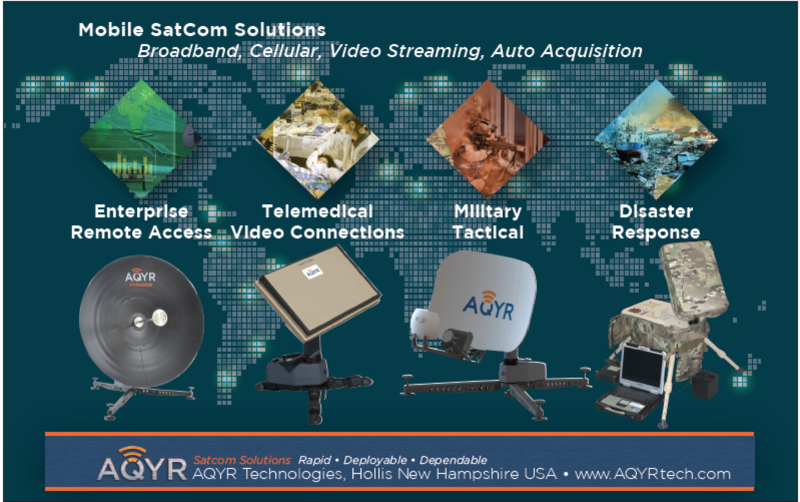 Today’s SATCOM IoT (satIoT) needs are essentially the same but now “on steroids”— larger networks, more remote locations, less available power, lower prices and a new, nearly impossible, twist — mobility — have now all entered the fray. Large distributed assets are expected to remain connected while on the move. 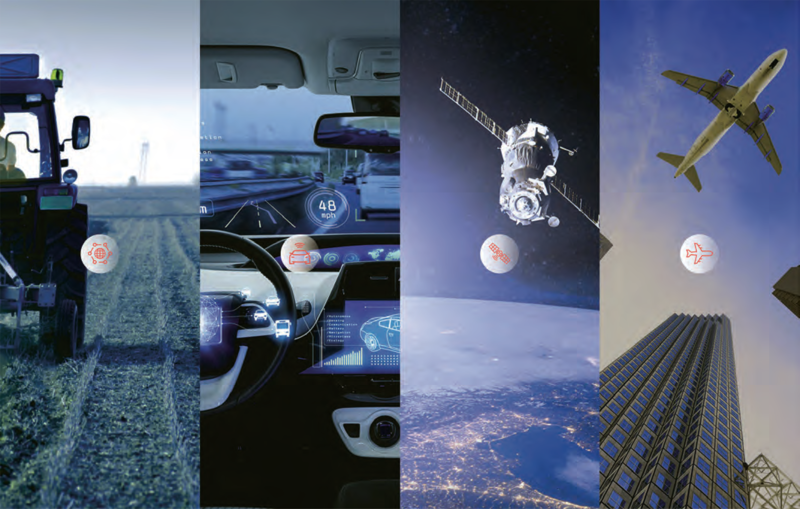 Terrestrial wireless connectivity is the norm; however, vast areas for service deployment can overwhelm many terrestrial distribution business plans and low-cost hardware and usage pricing solutions are needed for satellite IoT. Plus, in addition to the routine messages of temperature, pressure, location, and so on, there are new requirements that are emerging thanks to ubiquitous online connectivity demands. Several examples come to mind; a camera sending daily pictures of a remote field to monitor growth, pollution or vermin; emergency messages from a truck sensor detailing off-route stops (GEO-fencing) and emergency response from a dispatcher to dead-lock the cargo and the truck’s brake system; technician needing to log into and re-configure a base station during down-time when no other communication lines are active; software security patch updates to large number of edge devices such as meters, oil field machinery or locomotives; occasional calls from a service personnel at a gas field... and the list of instances goes on and on. IoT is a growing network of connected devices. Over 50 billion devices are expected to be connected in the coming years in what is described as the next industrial revolution. Although many of those connections are indoor or in-city, proliferation into most industries is occurring, with the installation of devices such as sensors, meters, actuators, pumps and cameras being connected everywhere — regardless of any terrestrial network’s availability. While most IoT connectivity currently is achieved via terrestrial means, there are many areas not adequately covered by terrestrial networks. As terrestrial IoT solutions become more mature and gain higher penetration into critical infrastructure and utilities, attention is being drawn into redundancy and security issues, which usually leads to SATCOM solutions as the preferred choice. This leads to further expansion of SATCOM in the IoT (satIoT) market. Still, satellite communication has a limited role in this deployment, with only about 3.5 million M2M devices connected via satellite (according to research and analysis firm, NSR) out of about 5 billion devices — that’s only a penetration of 0.05 percent. NSR predictions reveal that satM2M deployment in 2020 will reach about five million units, which is a mere 0.01 percent of the expected fifty billion units in service by 2020. In other words, while the IoT industry grew tenfold, the SATCOM penetration into these market segments is expected to decline fivefold. The main reason for this decline is the lack of a low-priced SATCOM solution that is comparable to the already available terrestrial offerings. This may be attributed to the complete reliance on limited, relatively expensive L-band capacity by satellite service providers. The satellite Industry’s main low-priced asset — global FSS capacity — is not participating with any relevance in the IoT game. What is missing is a A Ku-band IoT solution. The design of IoT devices is relatively simple and inexpensive. These units are deployed in quantities that bring data from large and remote areas without constant observation. These devices are typically always on and generate occasional, small (but growing) volumes of traffic. Many of these installations last for years and are left to work unattended. Users who place these devices expect connectivity to be thin-routed and highly affordable with the capability to issue occasional, emergency messages or even voice calls. There is little to no budget for professional installation and the locations are sometimes as inaccessible as the dark side of the Moon, meaning maintenance visits are usually out of the question. a long time; require virtually no maintenance; allow for immediate and guaranteed delivery of emergency messages; enable online access upon demand and possibly even voice calling; do all the above and offer an all inclusive hardware cost of less than $500 with a service fee of no more than $10 per month — even when traffic is high. No device in the industry, until now, has been able to comply with such specifications. Some L-band models are mobile but don’t enable online access. Others enable online access and mobility, but hardware cost is high and, more crucially, once traffic grows beyond few 10’s of KBytes, the price of service becomes prohibitive. 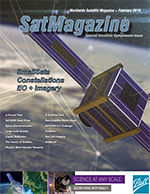 VSAT implementations by private Ku-band operators can maintain low price for traffic but the hardware has been nowhere near the specification benchmark needed for IoT. With this in mind, it is easy to understand why satellite M2M is not catching up with IoT market growth and such will continue unless a new, disruptive technology enters the scene. 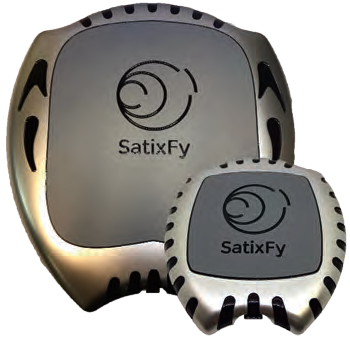 For several years, SatixFy developed silicon-based ASICs for the satellite market. These ASICs work in tandem to provide the perfect solution for the satIoT market: a complete, modem system on a chip and electronically steered Ku-band antenna based on digital beam forming technology and Ku-band RFIC. Together, these comprise — for the first time — a small, power saving, inexpensive, mobile Ku-band terminal. This technology enables FSS Ku-band operators to take part in the growing IoT market. SatIoT applications can now enjoy airtime costs that are 1/10th the current pricing level and with mobile hardware offered at a lower cost than a mobile phone — and that’s the magic... mobile VSAT in a small, inexpensive box. New LEO constellations are being planned and some have already launched to deliver satIoT services. When fully populated, these constellations will possess multiple satellites that will relay messages from anywhere on the planet to their recipients using tracking antennas at the IoT terminal. When the constellation is not fully populated, it can still operate in store and forward mode and that is good enough for many routine message-relay requirements but less relevant for emergency applications, online access or voice calls. The main advantage of LEO IoT is the relatively low cost of the spacecraft and launch — that translates into low operational cost and low $/KB prices. Other inherent advantages of LEO systems are also present, such as better link budgets (which enable smaller antenna size or higher bitrates) and lower latency. However, these advantages are less critical in the typical IoT use-case, compared with the clear advantage of lower $/KB price promised by such LEO constellations. Interestingly, when “normal” GEO based, Ku-band capacity is used for satIoT, it can benefit from the low bandwidth prices that are available today, just like LEO systems — sometimes even better. By using tracking antennas like the Diamond model by SatixFy for example, normal as well as inclined GEO orbit satellites can be used to achieve even lower $/KB prices, making GEO based services cost similar to LEO services. To really tip into the growing IoT market, the ability to field mobile IoT terminals is a must — in the terrestrial world, the problem simply does not exist – all terminals are mobile by nature. Customers expect to have an identical user experience as the terrestrial service when deciding upon a satellite option. Until recently, only a few L-band services were able to offer mobility and even high volume tarric, and even those came with high equipment and service prices. Gidi Talmor has more than 25 years of sales management experience in telecommunications, including satellite technologies, mobile and defence projects worldwide. Prior to joining SatixFy, Gidi was the VP of Marketing for Orbit Communications, VP of International Defence sales at Gilat Satellite Networks, VP of Sales at Clariton Networks, VP of product marketing at Satlynx and General Manager at Charter Kontron.